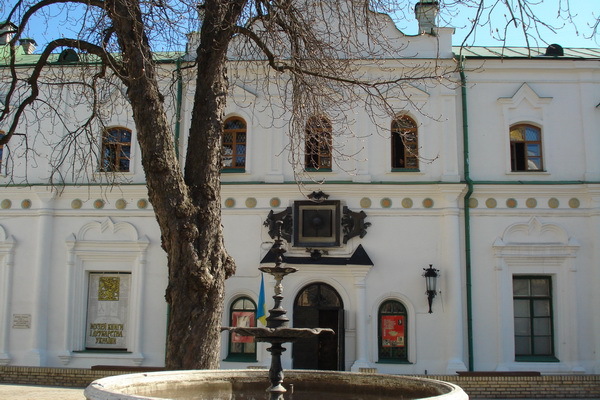 Museum of the Book and Printing of Ukraine (Музей книги та друкарства України; Muzei knyhy ta drukarstva Ukrainy). A state museum established in Kyiv in 1972 (International Year of the Book), as the State Museum of the Book and Book Printing, and opened to the public in 1975. 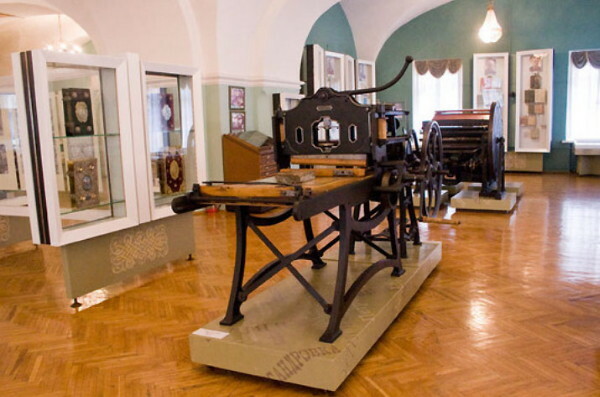 A precursor to the museum, the Museum of Ukrainian Writing and Printing, was founded in 1924 and shut down by the Stalinist authorities in 1934. The museum is housed on the grounds of the National Kyivan Cave Historical-Cultural Preserve in a former building of the Kyivan Cave Monastery Press that was built in the early 17th century. The museum’s collection contains some 56,000 items. 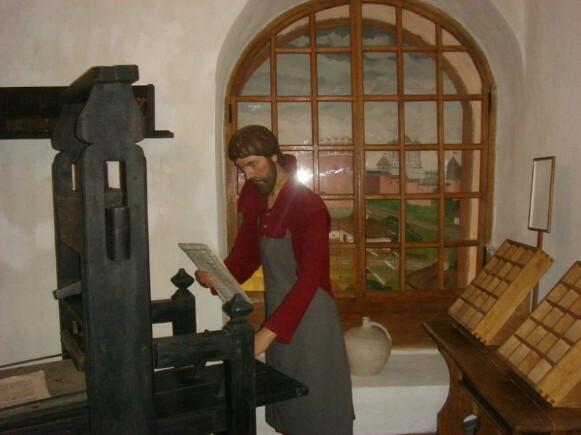 Its approximately 3,000 exhibits in five halls chronicle the development of book writing, printing and book publishing in Ukraine. Facsimiles and original copies of rare medieval manuscripts, old printed books, and incunabula, examples of early and modern printing technology, first editions of 19th- and 20th-century Ukrainian books and other publications, and original book illustrations and bookplates are on display. An illustrated guidebook to the museum was published in 1981. Rare books printed by the Kyivan Cave Monastery Press, Ostrih Press, Lviv Dormition Brotherhood Press, Chernihiv Press, Striatyn Press, and other presses are on display. A new exhibition of bookplate art (over 1,000 works by more than 200 artists, including Heorhii Narbut, Olena Kulchytska, Yaroslava Muzyka, and Stefaniia Gebus-Baranetska) was opened in 1987. A referral to this page is found in 3 entries.